There is a new tab atop this page – Journals. 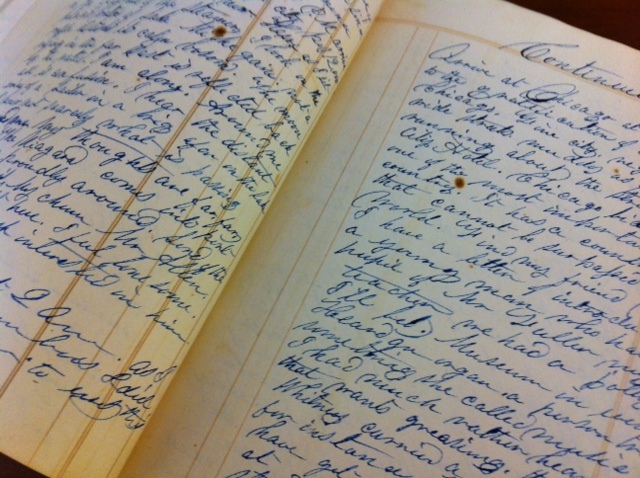 As we transcribe our many fascinating diaries we will be posting them online. Currently a portion of Amherst A. Alden’s 1847 journal has been added. Have fun reading about this adventurous 15 year old traveler and check back to see what our other diarists were up to. This entry was posted in Uncategorized and tagged Alden, diary, Duxbury, journals. Bookmark the permalink.